The growing popularity of wellness programs is limited primarily by budgetary constraints. With the advent of technology based programs, the bulk of budgets often are comprised of rewards and incentives to drive participation. This hurdle should not deter forward thinking employers from implementing a wellness program. There are a number of free and low cost rewards that can drive engagement and participation in wellness programs. 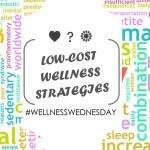 Since throwing money at the problem should not always be the answer, below is a list of cost effective rewards and incentives to achieve wellness program success. Saying “congrats” to wellness winners publicly doesn't cost a thing but hearing it can mean a great deal to an employee. As an established or emerging business, you probably have access to corporate discounts for a wide range of technology products, community services, and other valuable vendors. Why not pass these savings on to your employees and provide a corporate discount club to participants in your wellness program? Each month, highlight an exclusive discount with your public recognition communications. All employees are looking for more work life balance. You can help them by providing flexible work arrangements including the option to work from home or to take paid days off as needed. Eager and ambitious employees look to strengthen their relationships with company leadership. Winners of wellness competitions can enjoy a social lunch with the executives as a prize. Who doesn’t love to celebrate good times?! Low cost company events can be a fun way to recognize companywide achievement of a wellness participation goal and connect with fellow colleagues at the same time. A themed party or board game competition are cost effective ways to celebrate your success. “I love walking to the building when it’s cold or rainy” is something no one ever said. Try rewarding participation with a week of VIP parking. Many employers have tickets to sporting events, concerts, and other fun activities. If your company falls into this bucket, rather than sending out an email with a first come, first serve message, use the tickets to reward an individual or team in a wellness competition. Tickets are a great incentive, and if given as a team reward, it can be a great way to keep your employees engaged and happy. Does your company give to charity? If so, link the amount the company will donate to company-wide wellness engagement during a month. Serving others is a great motivator.